Can a robot help kids with their blood test? Blood tests are a common and necessary part of children’s healthcare experiences. Unfortunately, they are also a source of pain and distress. 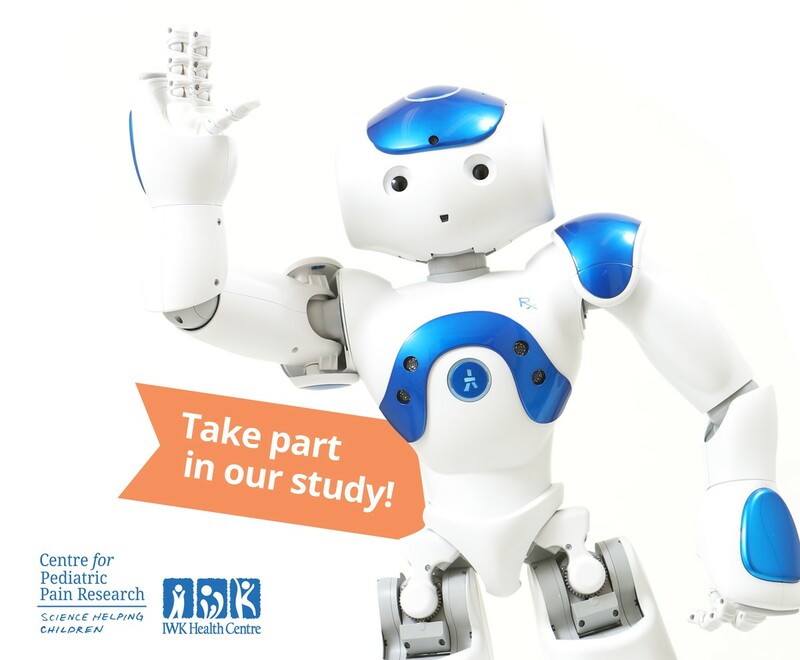 In this study we are looking at whether introducing a robot into the waiting room of the blood clinic at our health centre can be done in an feasible way and help children with getting blood tests. If your child is between the ages of 4-15 years and they are having a blood test at the IWK Health Centre, watch for our Research Assistants in the waiting room and your family may be eligible to participate! Sheldon MacLeod from News 95.7 learns more about the IWK Health Centre's new robot and how it will help children getting a blood test in an interview with Dr. Christine Chambers. Click here to listen to the interview. Global News recently visited our lab at the IWK Health Centre to learn about our new robot helper, funded by the Canada Foundation for Innovation. Click here to read more and watch the video. We need your help! Our new friend needs a name!